It's the end of January already, surprise surprise! This month I've dealt with stress and anxiety more than last quarter and sometimes I feel like it's okay to blame the cold weather and the gray skies. But sometimes I just try to remind myself that life isn't always bliss and happiness anyway. I've been trying to accept all my emotions and not minimize my feelings, even if they are unaccounted for. 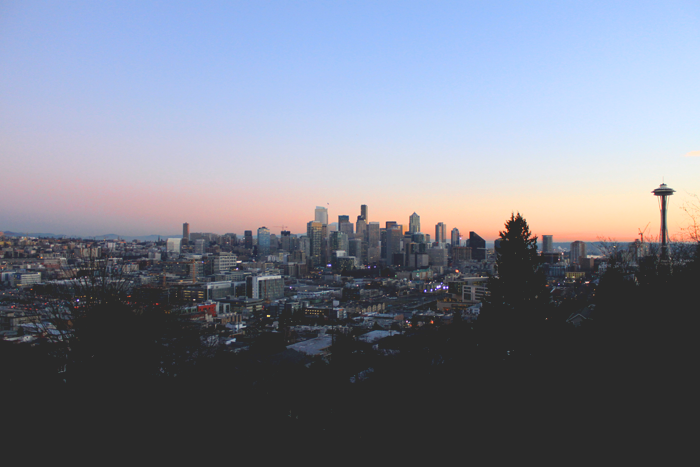 Going off campus has helped me feel better, so lots of trips to upper Queen Anne and Discovery Park have been had. Additionally, last weekend I saw Volcano Choir with my friends and oh my goodness, the show was beautiful. You could just tell how musically talented each member of the band is – plus, Justin Vernon is a wonder. He's a legend, I'm a legend. This show left me feeling so many things. I felt like some element of my life was clicking around until finally, it locked in place and something is now complete. I don't know, I can't really explain it. I'm just constantly reminded in life how things go full circle. Time and time again. Along with some weekly struggles, life has been full of lovely surprises and changes. I got the job as Photo Editor for SPU's newspaper, The Falcon! It was my first week this week and things will take some getting used to, but so far I'm enjoying it. :) Also I had advising for spring quarter classes today and it seems that I will be taking three art classes and that's it! Pure art! Though I'm not registered yet, my intended classes are Intro to Computer Art, History of Graphic Design/Illustration, and Typography and Letterforms. Needless to say I'm very excited. Next quarter I also will be officially applying for entry to the visual communications major here at SPU. I'm so nervous but it will also just feel so wonderful to actually get in the major. Prayers and thoughts would be appreciated! I always enjoy reading your posts. Good luck with your new classes, and feel happy because you're pretty nifty! Good luck getting into your major! I know how the gray skies of Seattle can be. I went to UW so just right down the road from you. Congratulations on getting the editing job!! 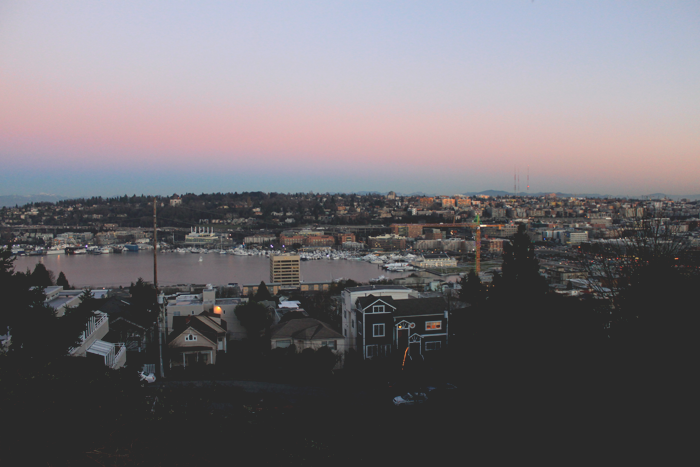 That first photo of Seattle is breathtaking. God, I miss that city. I'm so happy your job is going so well! And those art classes all sound so phenomenal, especially Typography! You've got great things ahead.